Charlestown, Nevis-(Wednesday, August 3rd, 2011) Premier of Nevis, the Hon. 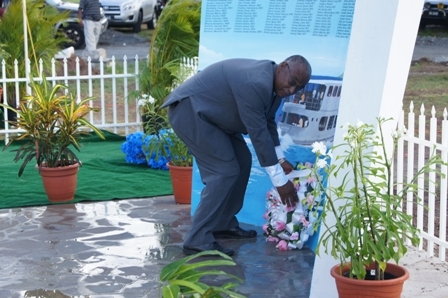 Joseph Parry reminisced on his recollection of that fatal day of August 1st 1970, when 236 persons lost their lives on the MV Christena inter-island ferry between St. Kitts and Nevis. He was at the time delivering brief remarks at a memorial service at the Bath Cemetery at Bath Plains on Monday to mark the tragic event’s 41st anniversary. “As I sat here this afternoon it really brought back memories of that day. I know exactly what I was doing and where I was. In fact, I was supposed to be on that boat,” said the Premier. 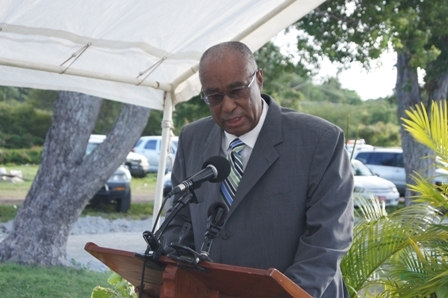 Mr. Parry said that as he spoke, he had a rather odd feeling as the island celebrated Emancipation Day with the Culturama festival and some are mourning with a memorial service. “It seems to create a contrast that as some celebrate others are mourning, thinking and reminiscing and I have to say that this is what life is all about, good and bad ,” commented the Premier. 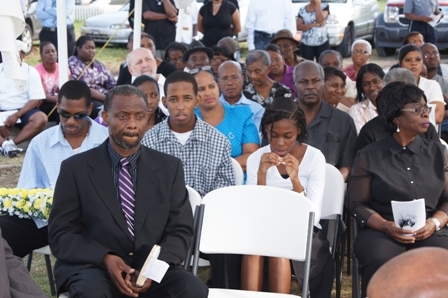 During the ceremony, Mr. Parry noted that Nevisians had always been strong people and although the island of Nevis had no psychologist at the time of the Christena Disaster, people on Nevis still survived and found ways to deal with their wounds. According to the Premier, although many felt hardship, survivors were able to make contributions to their communities, society and their families. “As Nevisians we are one people and in spite of everything with all our differences, our arguments and disputes, let us remember in the end, we all have to live here. “These people must not die in vain; too many of them could have made great contributions and done many wonderful things. So let us continue to light the candle and carry on the flame,” commented the Premier. 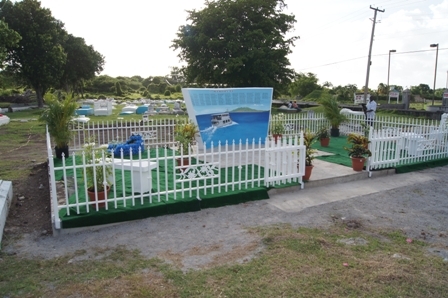 Meanwhile, a monument located at the Bath cemetery was recently built at the gravesite of victims of the Christena Disaster in commemoration to the 236 persons who lost their lives. The structure was unveiled on Monday following the ceremony. The monument has the names of all of the victims etched on the artwork which depicted the ill-fated MV Christena, the Narrows where the Vessel sank with the island of St. Kitts in the distance. Spokesperson of the civic minded group of activists who piloted the project to mount the monument, Mr. Wakely Daniel acknowledged that the Nevis Island Administration through the Ministry of Communications and works made a significant contribution toward the erection of the memorial as it was facilitated through the assistance of Hendrickson Construction Services. The artwork was done by Mr. Vaughn Anslyn.